Is your garage door an integral part of your daily routine? For more than 70% of Americans their garage door is their primary exit and entrance that they use in their home. If you are like most homeowners you probably do not spend much time thinking about your garage door. Thousands of injuries occur each year as a result of a garage door. Vegas Valley Garage Door Repair wants to help your family stay safe by reviewing some simple garage door safety tips. One way to stay safe is to be careful when completing repairs on your garage door. Many homeowners will try and save some money by trying to fix whatever is wrong with their garage doors by themselves. Some repairs and maintenance are quick and simple enough for you to perform. Other repairs can cause damage if you do not fully know what you are doing. 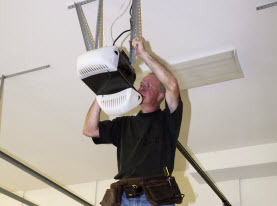 Every year 1,600 injuries occur while people are performing garage door repairs. The springs are a particular repair that requires precision and experience. The springs in the garage doors are probably something that you will want to call Vegas Valley Garage Door Repair for. If you do decide to try it yourself we must advice you to take extreme caution! Another frequent cause of injuries related to garage doors is when sections of your garage door fall down. Sections of the garage door can fall and cause serious harm to people and property. 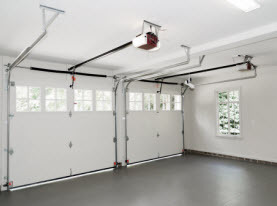 There are over 2,000 times a year where sections of the garage doors fall and cause damage to people and cars. One way to prevent this problem is to ensure routine garage door maintenance. 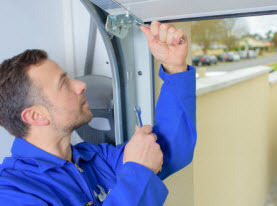 Checking all of the bolts and hinges of your garage door routinely and making sure that they are all functioning properly is an excellent way to help with this problem. The largest number of garage door related injuries actually occurs from the garage door pinching or crushing people. It is reported that over 7,000 people each year suffer an injury due to a garage door pinching or crushing them. Thank goodness that it is easy to avoid these types of injuries! One way to prevent these injuries is by making sure that you never place your hands near the joints in your garage door. Another way is to make sure that you educate your children about the damage that the garage door can cause and how to avoid getting their adorable fingers and toes hurt. You will also want to let your children know that garage doors are not toys. On their own children probably cannot grasp how heavy and dangerous garage doors can be. Proper education can help keep them safe. Many children think it’s fun to race their garage door. They will press the button and see if they can get in or out of their before the door closes. Most garage doors have safety sensors that will make your garage door open back up if there is an obstruction but they are not guaranteed to work. If your sensor does not work the garage door could cause serious injury if anyone gets caught underneath it. If your garage door has glass decorate glass in it there is some danger with that. The glass can be broken due to weather, balls being thrown at them, or more. If you find your glass windows broken you will want to be extremely careful when cleaning it up to avoid injury. At Vegas Valley Garage Door Repair your safety and comfort is our main priority. Following the advice above will definitely help reduce the chance of a member of your family or your property getting hurt by the garage door. 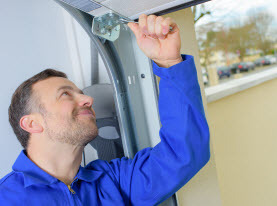 We also recommend that you have maintenance performed on your garage door once a year. Call us today and schedule your maintenance appointment!